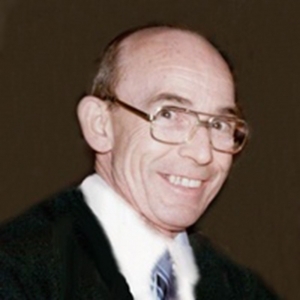 Homer Smith Ezell, age 86, passed away on March 20, 2019 at his home in Enoch, Utah. He was born on April 1, 1932 in Clarksville, Tennessee to Leroy and Eura Green Ezell. Homer attended schools in his home town of Clarksville, Tennessee. During the Korean conflict he served in the US Air force. He married Gloria Gail Jump on December 1, 1960 in Santa Paula, California. He met Gloria when he was a boarder at her grandmother’s boarding house. Homer was employed in the Citrus Industry for more than 35 years. He worked at Ojai Orange Assn., Ojai Tapo Citrus, Irvine Valencia Growers and Retired from Fillmore-Piru Citrus Association after 18 years of service as Plant Superintendent of the Fillmore Packing House. Homer was raised Church of Christ. He loved photography and hiking. He will be missed by those who loved him. Homer was is survived by his wife Gloria and his daughter Connie Marie (James) Reidmiller of California and 3 wonderful grandchildren Christopher, Megan and Joey as well as his sister Mitzi Sudeath of Texas. He is receded in death by his parents and four siblings. Service will be held on Thursday, March 28, 2019 at 1:00pm in Enoch City Cemetery under the direction of Southern Utah Mortuary.